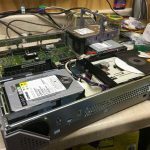 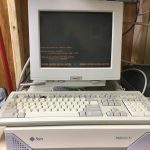 My Sun SparcStation 5 (added to my collection in 2017). 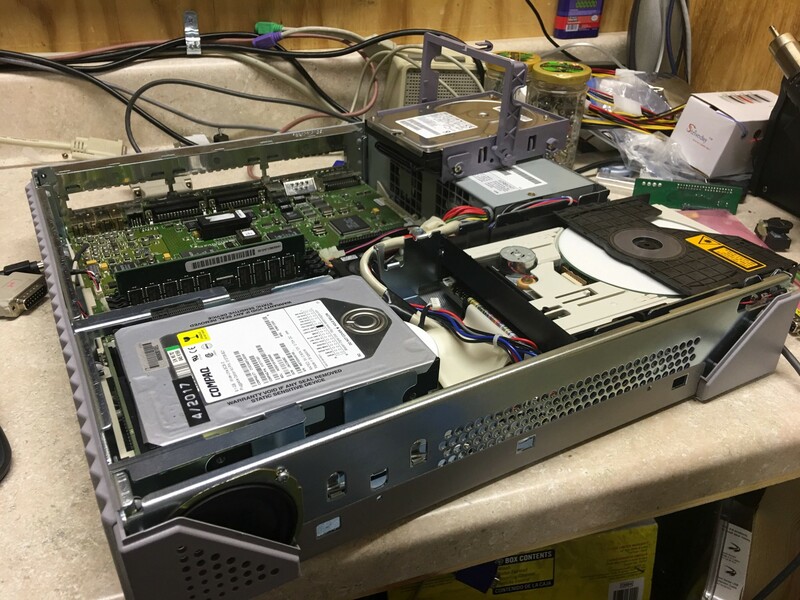 Currently booting a fresh install of Solaris 2.6, I still don’t have a framebuffer (video card) or Sun keyboard, so it’s running text only via Lucent Max 900 serial console. 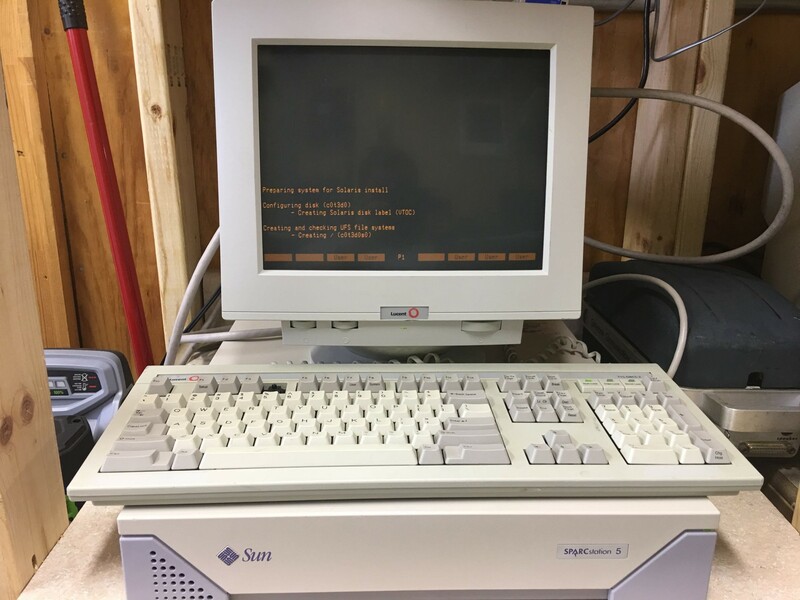 SparcStation 5 with Lucent terminal.